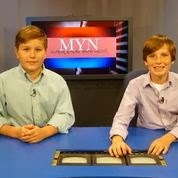 MHD Youth News: Season 3 Premieres! 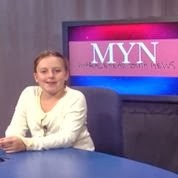 We kicked off the 3rd year of Marblehead Youth News with many new faces, many familiar ones, and an episode so huge, we had to do some editing to fit everything in! Amazing! 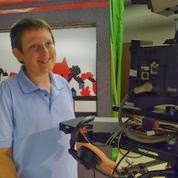 The show will air throughout the month and we all agree, it is one of our best. 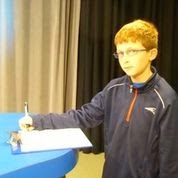 Anchors Ian and Kipp were cool under pressure, even with a wardrobe change in the middle of shooting! Sports Anchor Haley was as shiny as her sparkling outfit. She's a graceful natural! 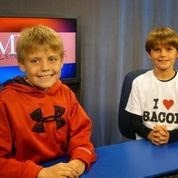 Brothers Gus and Sam (both fond of bacon) returned to pitch their new segment "Marblehead's Unsung Heroes." Know of any? If so, please contact us. Jimmy J. directed the floor with precision. And a smile -- always! 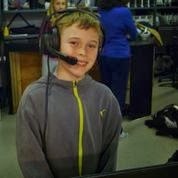 Zander should get his resume together! 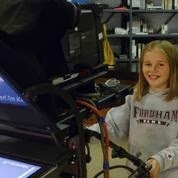 The kid made working a teleprompter look like, well, child's play. 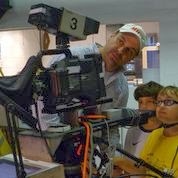 directing the show with a calmness we all admire. 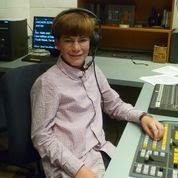 Just like Griffin was on Camera 1! Producer? Yeah, we got Noah! 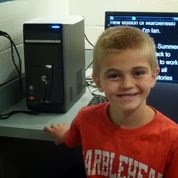 Jake shared another excellent review, and his great giggles and smile! 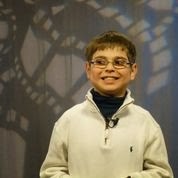 Tune in to see all these amazing kids in (lights camera) ACTION!